Much concern had been shown by international rights group about the five Egyptians who could not be found after their recent deportation back to the country, says for them to be out there will exposed them to serious risk of torture. Five Egyptians missing after being deported. 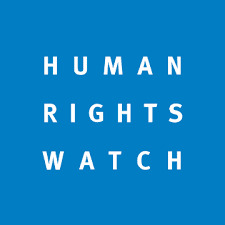 Among the five deportees, four of them were deported from Malaysia in early March while the fifth deported from turkey in January, Human Rights Watch said in a report on Thursday. Three of them were sentenced in Egypt over links to Islamist groups. Michael Page, deputy Mideast and North Africa director at the New York-based watchdog, says "Egypt has a dire record of systematic torture, forcible disappearances, and unfair trials of dissidents." It urged authorities "to provide full legal access to these deportees." Egypt has waged heavy crackdown on Islamists and rights activists after the military's 2013 ouster of controversial Islamist President Mohammed Morsi.